Illustration of a young girl with a purple scarf covering the lower half of her face against a gray background. 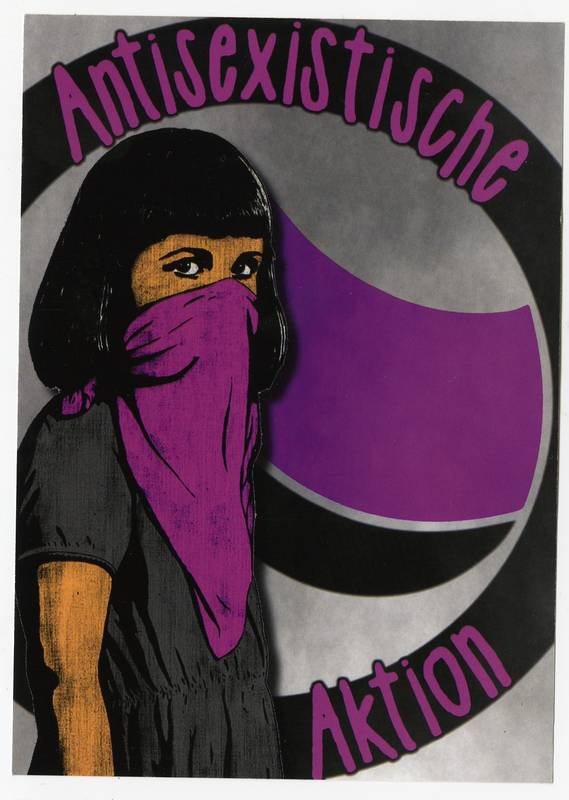 A black and purple logo represents the German Antifaschistische Aktion, an organization whose goal is to smash fascism in all forms. Referencing “triple oppression” theory, its members seek to eradicate sexism, racism and classism. The straightforward sticker promotes women’s empowerment and calls for the end of sexism. The figure is young, but her gaze is direct and powerful. Her youthfulness represents a new generation standing up for feminist values.